(VON) Niger Tornadoes FC of Minna says it will end the 16 home match winning streak of El Kanemi Warriors of Maiduguri in Sunday’s encounter in the ongoing Nigeria Professional Football League. Players of the club, Ebenezer Odeyemi and Lukas Yahaya, told journalists on Thursday before the team left Minna for Maiduguri that the players were determined to cause an upset during the match. Both Odeyemi and Yahaya played for the Desert Soldiers in the last season and now play for Tornadoes. Odeyemi, with two goals already to his name, said that Coach Abubakar Bala of Niger Tornadoes has the technical ability to ensure that the team secured the three maximum points in Maiduguri. “I believe that there is always a start to everything in life; we have the skills to beat El Kanemi at home because I know the crop of players that make up our squad. “We will break their record of winning home matches. It is very possible we will go there and pick a point or the maximum points,’’ he said. “I believe I will definitely score because I know what to do on the pitch,’’ he added. According to striker, the team is improving with every match and the Warriors would lock horns with a better prepared Tornadoes. 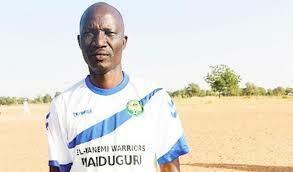 Yahaya also said that even though El Kanemi was a good side, Niger Tornadoes would not leave Maiduguri on Sunday without a point. “I pray that we will be the first to break the Maiduguri jinx,’’ he said. El Kanemi Warriors has so far won the 16 matches played at home this season.